Inaugural Walkers - Picture by A J Guesdon, 2014. 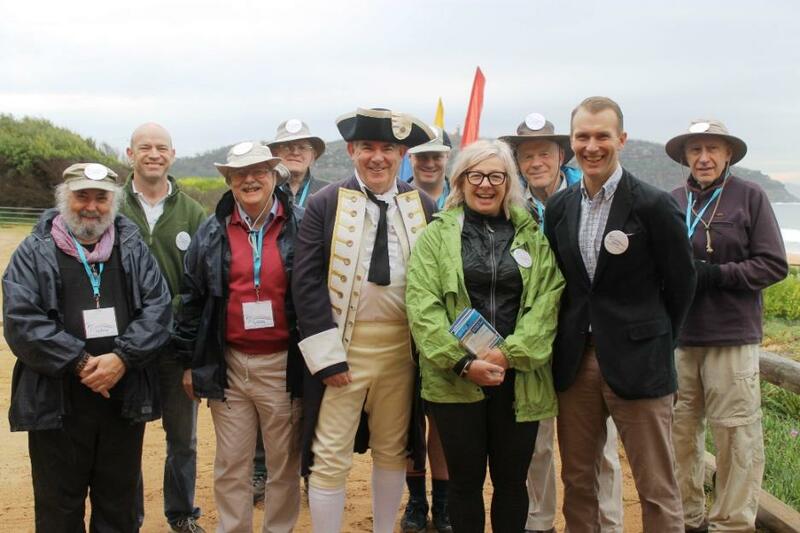 The Hon Rob Stokes, Minister for Environment & Heritage and member for Pittwater was at North Palm Beach SLSC on Saturday August 16 at 9am to officially start the inaugural Sydney Harbour & Coast Walk. He was joined by Pittwater Mayor, Cr Jacqueline Townsend, to farewell the first group of 10 walkers who will spend four weeks tracing the 315 km route. It will take them from Palm Beach, around Sydney Harbour, west to Parramatta, back to South Head and down the coast into Royal National Park. The foreshore route was developed and mapped over eight years by The Walking Volunteers in partnership with government agencies and local councils. It takes in places of scenic beauty and historic interest and can be enjoyed in small or large sections. It's ideal for leisure walkers, families, for the health conscious and for visitors. It will also provide an opportunity to promote two significant international conferences, the Walk21 Conference and the IUCN World Parks Congress, both of which are being hosted in Sydney in October and November respectively. Friday 15th of August, 2014 marked the 69th Anniversary of Victory in the Pacific Day (VP Day) celebrations. This date commemorates Japan’s acceptance of the Allied demand for unconditional surrender on the 14th of August 1945. For Australians, it meant that the Second World War was finally over. On August 15th Prime Minister J. B. Chifley announced the end of the war against Japan and the government gazetted the day as a public holiday. On Friday the annual VP Day Service was held at Avalon Beach RSL Sub Branch’s cenotaph, conducted by the President of the Sub-Branch, Commodore Graham Sloper (RAN Rtd.). The Commemoration Address was given this year by LTCOL Matthew P. Stevens, CSC. 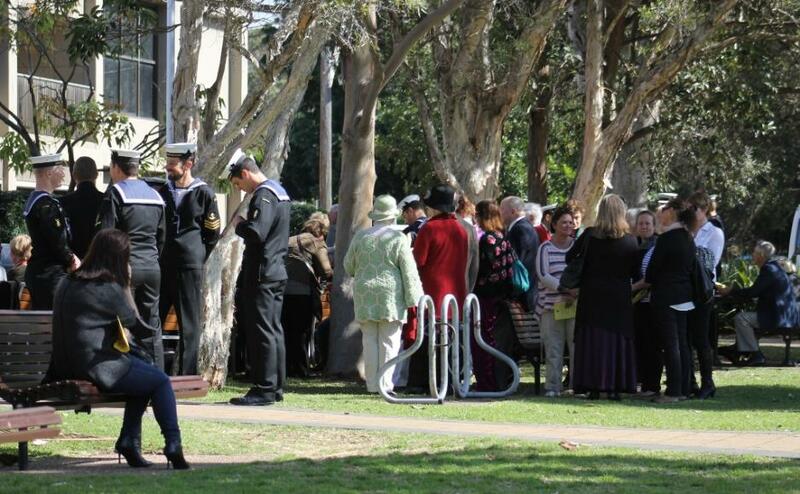 This year's Service was attended by Avalon Beach Sub Branch members, our NSW and Federal MP's, VIP guests from the Royal Australian Navy and many members of the community. The Catafalque Party and Honour Guard was formed from NUSHIP CANBERRA. 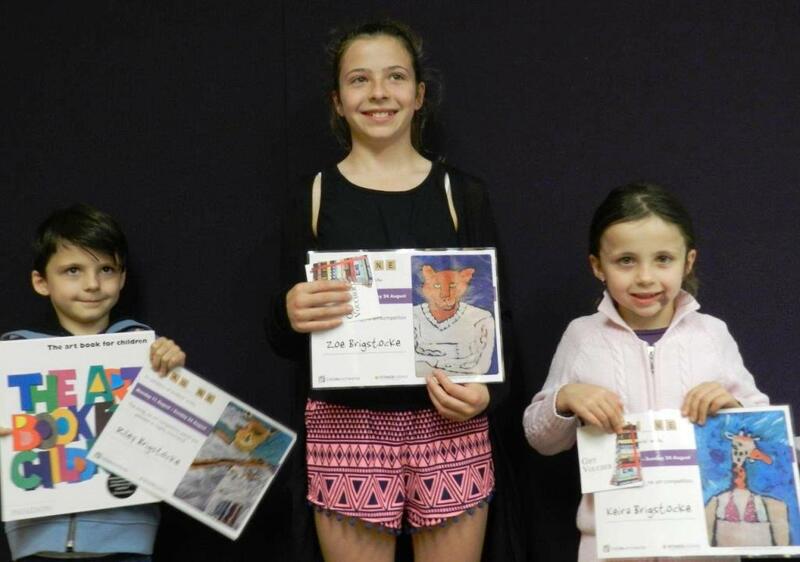 Maria Regina Catholic School Avalon had their 2014 Music Performance Night this week. Riley, Zoe and Keira Brigstocke. Talented, expressive, vibrant and highly skilled young artists…. ‘imagine’ that! That’s precisely the case in Pittwater where primary and senior school students were invited to submit artworks that responded to the theme of “imagine”. Winners of the competition, which received 27 entries, were being announced on Wednesday August 13th, 2014 and will be on exhibition in the library foyer and on screens in the library, as well as on Enliven Pittwater’s Facebook page from Monday 11 – Sunday 24 August. Deputy Mayor for Pittwater Kylie Ferguson said the competition acknowledges the enormous talent and creativity among our young Pittwater community and also celebrates the arrival of permanent art installation imag_ne outside Mona Vale Library. “I can only describe the works as inspirational and charming,” Cr Ferguson said. 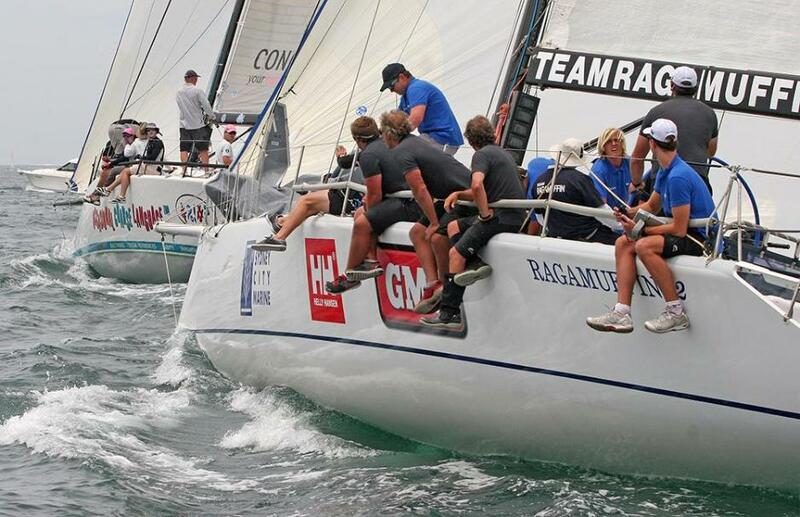 Two of the world's best sailing events have been launched by premier Pittwater Yacht Club - the Royal Prince Alfred this week - one for our Youth Sailors, the 22nd Harken International, which will be raced on Pittwater November 19 – 23, 2014 and the 'warm water classic' the 34th Pittwater to Coffs Harbour Yacht Race which will begin January 5th, 2015. The Hon. 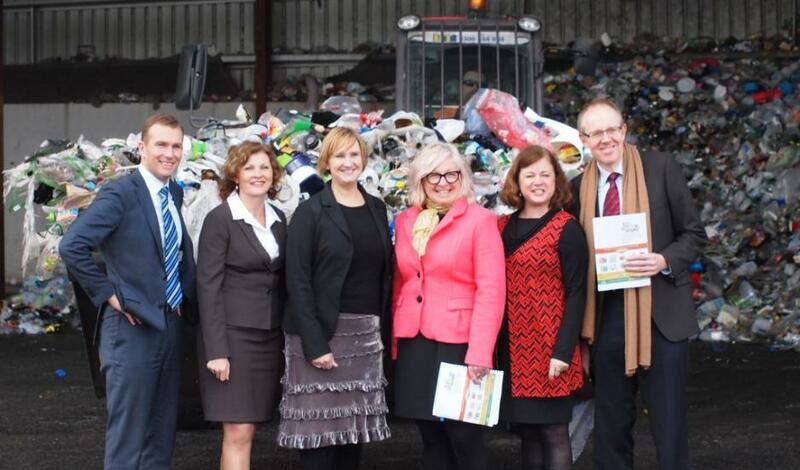 Rob Stokes MP Minister for the Environment and Member for Pittwater together with Cr Jacqueline Townsend SHOROC President and Mayor of Pittwater released Too Good to Waste the draft overarching waste strategy for Manly, Mosman, Pittwater and Warringah councils for community comment on Friday 15 August at Kimbriki Resource Recovery Centre’s recycling facility in Terrey Hills. Developed by the four SHOROC councils, Too Good to Waste details the combination of community-based and infrastructure solutions for the region to work towards the ambitious goal of diverting 75% of waste from landfill. It signals a shift from waste being a burden to being a resource and looks ahead to 2021 to avoid, reuse, recycle and recover our valuable resources. Phoenix canariensis (Phoenix Palm or Canary Island Date Palm) has many vicious spikes. Pruning costs are high. The film shows how to control this unpleasant invader and save yourself big dollars.